How did an experienced inbound marketer help her company turn around their marketing results? In this week's episode of The Inbound Success Podcast, I'm interviewing inbound marketing powerhouse Stephanie Casstevens. In my 10+ years as an agency owner and HubSpot partner, I've met few people with the experience, enthusiasm, and insight that Stephanie brings to the table and I'm excited to share the lessons learned from one of her top performing campaigns. 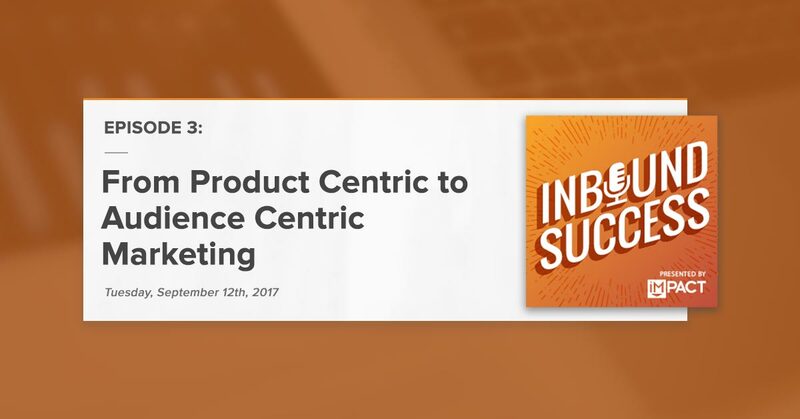 Listen in to learn why a change in audience personas and a move away from talking about the company's product were the key to success, and get some actionable takeaways you can use to improve your next inbound marketing campaign. Listen to the episode here, or read the show notes (below). Want to hear what other successful inbound marketers do to get great results? Subscribe to the podcast to learn what works, what doesn’t, and what you need to do to really move the needle. This week on The Inbound Success Podcast I’m excited to interview Stephanie Casstevens, Marketing Manager with Label Insight in Chicago. 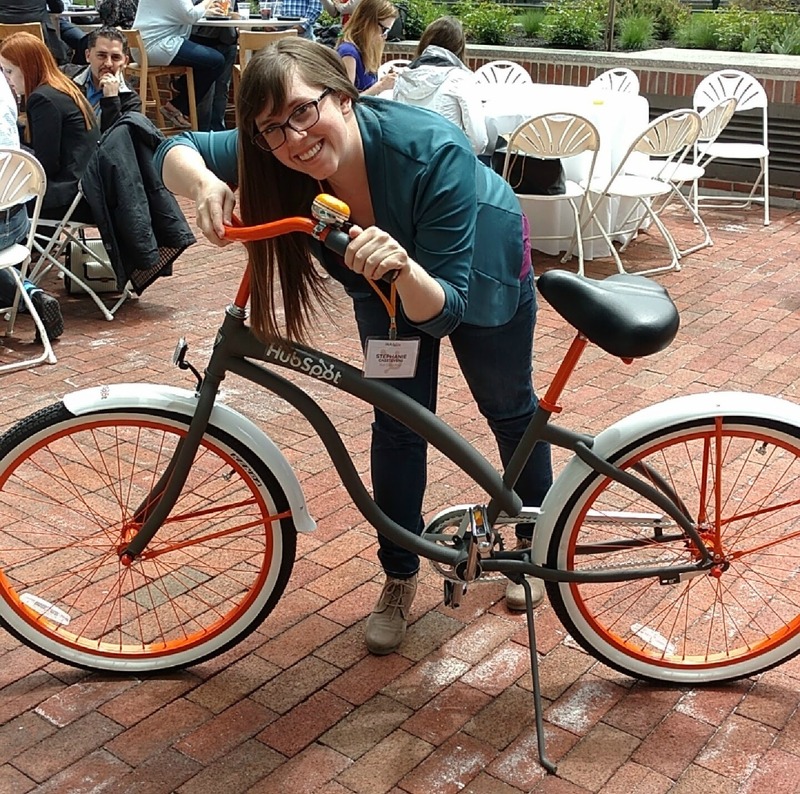 Stephanie is a HubSpot power user and inbound marketing expert who has worked both in-house and on the agency side and currently serves as a Leader of the Chicago HubSpot User Group. Label Insight was founded with the mission of promoting transparency in the food and product industries. The company’s cloud-based product data engine enables brands and retailers to transform basic product data into smart attributes, providing a deep understanding of their product set. Before joining Label Insight, Stephanie worked at an inbound marketing agency and was the Content Marketing Leader at MedPro Disposal. One of her notable accomplishments is that she has every single HubSpot certification available (a big deal given the large number of certifications that HubSpot offers!). At the time Stephanie began working as the Content Leader for MedPro Disposal, the company had never done any inbound marketing. MedPro specializes in medical waste disposal and while this might be considered a “boring industry” by some, Stephanie felt it had a lot of potential for content creation and was especially excited that it is in an industry that hasn’t aggressively adopted content marketing as an approach. Initially, the company’s primary target audience was physicians who lead medical practices or clinics, as well as key decision makers at other facilities that generate medical waste, such as directors at funeral homes. This audience is notoriously hard to reach. They’re not on social media and rarely give out their email addresses, and their busy schedules leave little time for practice management and meetings with vendors. In addition to targeting a difficult-to-reach audience, MedPro had to overcome the fact that the vast majority of its target audience was already purchasing medical waste disposal services from another source. To be an operating hospital, medical facility, funeral home, etc, you are required by law to have a medical waste disposal solution in place, so prospective clients aren’t generally interested in solving a problem they already feel they have solved and unseating an incumbent provider can be a big challenge. When Stephanie began working on the campaign, there were a number of macro-level changes occurring that had wide reaching implications for the medical community including changes in HIPAA regulations, the Ebola outbreak, and updates to compliance regulations. Initially, MedPro’s focus was on trying to figure out how to help doctors solve the challenges associated with these changes, but they quickly realized they were never going to get the doctor’s attention. Instead, what they COULD do was get the attention of the Office Manager or the administrative staff at the medical practice/clinic. From the other campaigns MedPro had executed, they knew that they had to create content that would provide value to the administrative personnel but also make them look great in front of their boss (the physician). One of the big problems that medical clinics were dealing with was patient no shows - a costly issue due to the time it takes to reschedule appointments and the gaps it leaves in the physician's’ daily schedule. To address the issue of no shows, MedPro developed a Patient Appointment Policy Template that helps medical practices establish clear guidelines for patients relating to appointment cancellation. The template is a document that patients sign acknowledging that appointments have to be cancelled with 48 hours notice or they are responsible for paying a fee. Anyone who downloaded the template also got a guide to using it, which included information on how to set it up, steps on how to help people schedule appointments, procedures for sending out reminder cards, and more. In addition to building a unique landing page with conversion form for the Patient Appointment Policy Template offer, Stephanie wrote several blog posts on related topics and included a call to action for the offer within the posts. One of the most successful posts was Patient No-Shows? No Problem [Free Template]. Side note - I love how she included the "[Free Template]" wording in the blog title! One interesting aspect of this campaign was the impact that it had on MedPro’s email marketing. Prior to launching the campaign, the company had a good email list containing a large number of contacts, but in today’s terms, many of these would be considered “gray mail” because they weren’t engaging with MedPro’s emails. When the company shifted its focus to administrative professionals and began promoting solutions to patient no-shows, they were able to trigger new engagement on the part of this audience and activate their previously inactive list. The theme of efficiency served as an effective way to bridge the conversation from no-shows to medical waste and provided MedPro with a platform for discussions surrounding the topic of what medical waste disposal processes should look like. The lead nurturing sequence culminated in MedPro offering the leads a comparison guide that helped them evaluate their own medical waste disposal situation and provided that administrative contact they were looking to engage with everything they would need to raise this issue with an upper-level decision maker in the practice. The key performance indicator (KPI) that MedPro used to measure the success of Stephanie’s campaign was the rate at which she could convert marketing qualified leads (MQLs) to sales qualified leads (SQLs) that MedPro’s sales team could call on. One of the challenges that marketers face when working with sales teams is how to define an SQL. Too often, this definition is not nailed down and marketers are forced to rely on the sales team’s judgment about whether the lead was qualified. The problem with this approach - particularly when a company is relatively new to inbound marketing - is that if sales reps are used to traditional outbound leads, they often see inbound leads (which are closer to the top of the funnel) as unqualified because they have not raised their hand and requested a meeting, demo, or other contact with the sales team. In Stephanie’s case, she made sure that a clear definition was in place for both MQLs and SQLs, and she put lead scoring in place, so this was easy to measure. Stephanie’s process for defining what constitutes a qualified lead is a solid one that any marketer at any company can use as long as they have enough data about their existing customer base. She started by looking at MedPro’s most successful lead-to-closed won opportunity paths and what those had in common. She looked at factors like how long a lead was in the pipeline, what type of pitch or messaging they responded to, and their demographic characteristics. This data, and the trends it revealed, was used to determine what a successful SQL looks like and also to pre0qualify MQLs. In MedPro’s case, an MQL was defined as anyone who met certain pre-defined behavioral criteria such as opening the email, downloading the template, engaging with two or more pieces of content after that, following the company on social media, etc. SQLs met all of the criteria for MQLs, but also had to match demographic criteria such as the size of the clinic (did it have two or more physicians?) and its geographic location. One of my favorite things about Stephanie’s approach is how she handled SQLs. Most companies that use HubSpot simply rely on form notifications to alert their sales team when a lead has converted. Stephanie actually disabled all form notifications and instead created a custom workflow that sends sales reps a notification email when a lead reaches the SQL stage. The email includes contact information for the lead with more context up at the top. Remember how I mentioned earlier that sales reps often think inbound leads stink? Well, this is a great way to address that challenge by putting some context around them and in doing so, setting the sales rep up for success. The key to the MedPro campaign was that it didn’t focus on selling the company’s product. Instead, it was all about the challenges the audience was facing. The team at MedPro knew that patient no-shows were a pain point for medical practices and clinics and, even thought this wasn't directly within their area of expertise, saw an opportunity to map this back to the larger question of efficiency. More importantly, they recognized that the key to success was to help administrative professionals in these clinics solve a key problem they face day in and day out, while at the same time making them look better in front of their bosses. In doing so, they built the trust needed to engage in a bigger conversation with their audience and, ultimately, talk about their service. Pivoting from trying to sell people to trying to help people was key. This is all about moving from a product-centric approach to an audience-centric approach, something that is easier said than done for most companies! In addition to identifying your primary buyer, look at secondary audiences that influence buyers and zero in on their pain points regardless of whether they are directly related to your product. Once a lead converts, too many companies try to jump right into the demo/sell. Instead, try slowing the process down and continuing to nurture your audience with helpful information that they can use on the job. This is how you build trust. If you’re having trouble getting results, ask yourself whether you are really targeting the right audience personas. Many marketers think that personas have to be based on job titles or roles. Building on her earlier experience at MedPro, Stephanie recently created personas based on pain points, which might not necessarily correspond with job title but provide a much clearer basis on which to target messaging and content. When developing personas, it's important to really dig in and understand their daily challenges. Your product or solution might just be a box that they check but there may be other issues that are really keeping them up at night. When you can identify those burning issues, you will have found the real opportunities to score with content marketing. Rather than spending a lot of time focusing on the landing page, its layout, etc., consider shifting your focus to content promotion. If your content is valuable, it will drive conversions regardless of landing page layout, so spending more time on promotion could really boost results. Try experimenting with different content formats. Written content such as ebooks, templates, and checklists are nice, but not everyone likes to read all that text. Stephanie is a big fan of webinars because they are easy to execute, and can be recorded and offered on demand. If she were to run the campaign again, Stephanie would pair the template offer with a webinar on “How to use our patient appointment policy in the best way”. When creating content, don’t forget to make it easy for the recipient to share it or forward to a friend. Word of mouth is incredibly effective in expanding audience size. Lots of good stuff here that you can take away and apply to your own marketing! And if you have questions, or want more information, you can find Stephanie on Twitter @stephcasstevens or via her personal website at stephaniecasstevens.com. Where does Stephanie turn for the latest, greatest info on inbound marketing? She recommends you check out George B Thomas and Marcus Sheridan of The Sales Lion (she especially loves their YouTube Channel and the HubCast, their weekly podcast), as well as Think Growth, HubSpot’s blog on Medium.